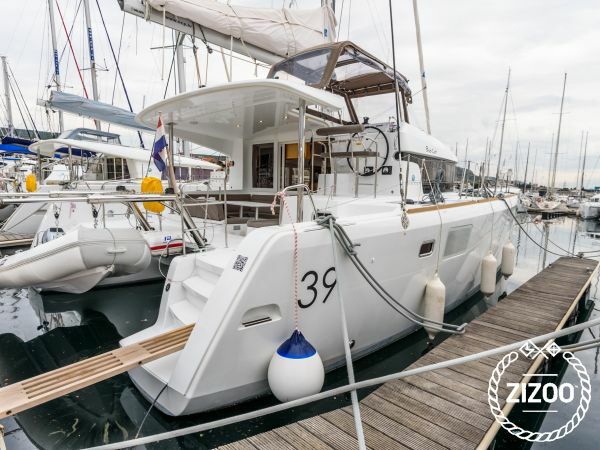 This Lagoon 39, built in 2016 is an excellent choice for those wishing to experience a new sense of freedom in style and comfort. Wake up to the sound of the sea in one of the Lagoon 39’s 6 spacious and modern cabins. Sleeping up to 12 people, this catamaran is perfect for sailing with friends and family. The Lagoon 39 is located in Marina Mandalina, Sibenik, a convenient start point for exploring Croatia by boat. Happy sailing. Amazing trip with my family! It was the first time we took the kids on a Lagoon. They loved it. The boat was in perfect condition and kids loved jumping around in the net at the front of the boat. The charter was super nice too and gave us a free starter Pack.